* .999 Fine Copper Bullion Coin. 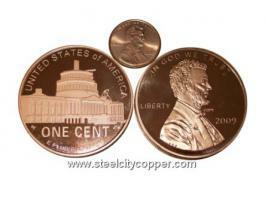 * Large Lincoln Bicentennial Replica. * Image of Lincoln as a Young Professional on Reverse. * DC Image on Reverse. 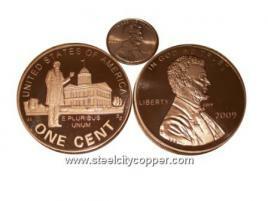 * Large Wheat Penny Replica. 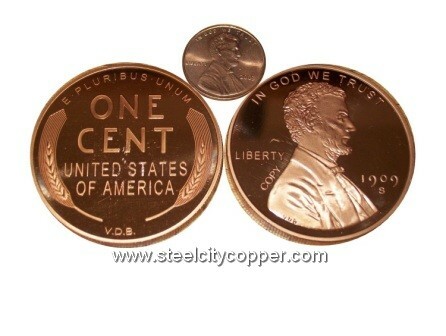 Copyright © 2019 Steel City Copper, LLC All Rights Reserved.